Australian landscapes are not the familiar European environments featured in the majority of the fiction we get to read. Too often description of the unique landscapes on this continent have been framed along lines familiar to the British invaders. 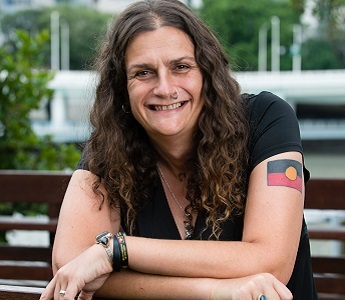 In this intensive, two-day writing workshop, you will discover how getting out into the landscape and learning Indigenous understandings of place will help you better write and describe Australia, no matter what genre you are working in. Day one (Thursday) will include Cultural Awareness Training delivered by the Koorie Heritage Trust, exploring the culture, identity and history of Australia's First Nations pre- and post-colonisation. Day two (Friday) will be a practical workshop with Wirlomin Noongar writer, Claire G Coleman, at Writers Victoria. This workshop is made possible by the support of the Australia Council for the Arts. Claire is a Wirlomin Noongar woman whose ancestral country is in the South Coast of Western Australia. Her debut novel ‘Terra Nullius’, written while travelling in a caravan, won a Black&Write! Fellowship, has been shortlisted for the Stella Prize and an Aurealis Award, and won the Norma K. Hemming Award. She also writes essays, poetry and short fiction. Listen to Claire speak about story, prizes and luck on The First Time Podcast.